Arches Tinnitus Formula® combines clinically proven natural herbal and mineral ingredients for the reduction of tinnitus. The truth is that there is no miracle “cure” for tinnitus. Tinnitus is a symptom with many possible causes, so no tinnitus treatment is right for everyone, but for the majority of those who try Arches Tinnitus Formula there is real relief. Over 30 clinical studies have shown the ingredients used in Arches Tinnitus Formula to be effective in reducing tinnitus noise. Arches Tinnitus Formula combines the right ingredients in the right amounts, and is the only herbal tinnitus remedy containing Ginkgo Max 26/7®, the highest quality ginkgo extract on the market, specially formulated for the treatment of tinnitus. This scientific approach has led thousands of Ears, Nose and Throat (ENT) doctors to recommend Arches Tinnitus Formula for their patients. They tell their patients with tinnitus to take Arches Tinnitus Formula for at least 100 days, or 4 bottles, to determine its total effectiveness. While most will see no change in the first bottle, the majority will notice a reduction of noise starting at around 8 to 12 weeks. Get the best results with Ginkgo Max 26/7®, the highest quality Ginkgo biloba extract on the market. There is no “quick fix” for tinnitus, but ENT specialist and ear surgeon states that though Arches Tinnitus Formula does not work for everybody, it does work with about 75% to 80% of these patients. 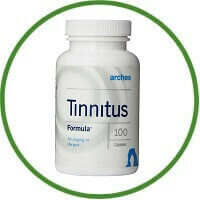 Arches Tinnitus Formula is a safe and benign treatment that we initiate for patients. 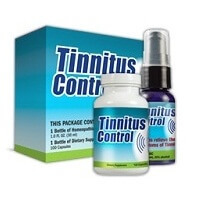 For over 16 years, Arches Tinnitus Formula has been helping individuals with tinnitus reduce or eliminate the often maddening sounds related to tinnitus. Take Arches Tinnitus Formula today. Experience a better night’s sleep, and a quieter and more productive life. Growing number of Otolaryngologists refer their patients to Arches Tinnitus Formulas.